Cub Scout Pack 238 is chartered by St. Mark's Church in Geneva, IL. We are part of the Fox Valley District in Three Fires Council. The Pack consists of 6 Dens (groups of boys, ages 5-11) that are encouraged to have FUN and "Do Your Best"! Our pack leaders and family volunteers strive to offer the boys a quality Boy Scouts of America approved program that is designed to help them develop both mentally and physically. Cub Scouting teaches the boys to help in the community, with their families, and provides them the opportunity to make life-long friends. 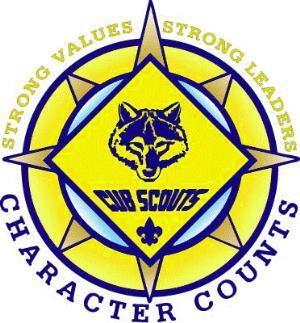 If you are interested in learning more about Cub Scouts and Pack 238, please view our website "Join Cub Scouts" page, the links below, and/or contact the Cubmaster via the "Contact Our Pack" email link above.